Braderic Security's patented security and interactive technology provides best in class protection and the ability to monitor your property 24/7. Braderic Security utilizes advanced interactive security solutions to provide the most reliable business monitoring service. ​STAY PROTECTED AND CONNECTED, EVEN IF THE PHONE LINE IS CUT, THE INTERNET IS DISCONNECTED OR THE POWER GOES OUT. ​​YOUR HOME INTERACTIVE SECURITY SYSTEM FROM ANY COMPUTER OR MOBILE DEVICE WITH INTERNET ACCESS. ​​Our technology protects you from an intruder destroying your security panel by sending an alert at the first sign of entry. Have your home or business tell you what is going on the moment it happens. 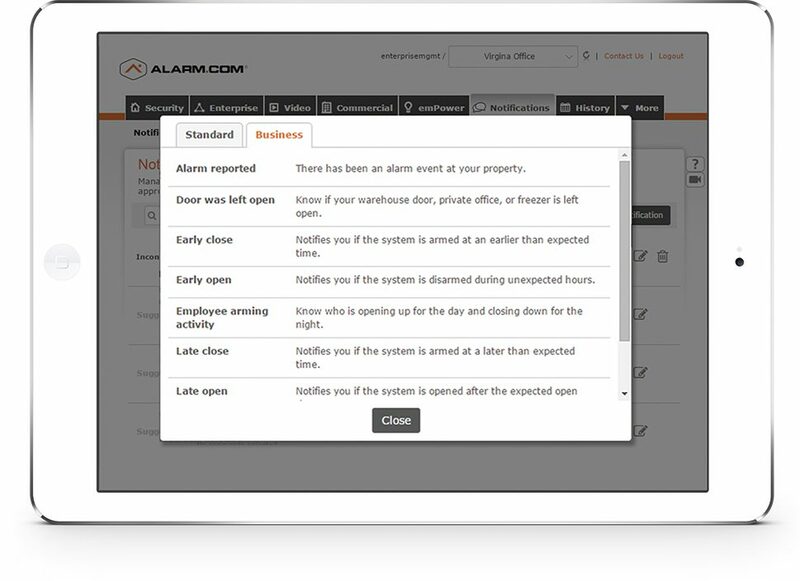 You can have your house send you a text or email message automatically when there’s activity that you would like to know about. ​Integration of door locks allows for remote door lock control. The Same Power of Our Home Security and so much more! Get Notified While You’re Away.